mindset – Steal These Thoughts! This week I explore the skills L&D teams to navigate today’s world, the issues surrounding the #hustle movement and philosophical insight from a fictional movie star. This week I explore ways to innovate and simplify the process of learning. I share ideas on out of the classroom experiences you can try this year, why L&D teams sometimes make the simple process of learning complicated and a 60 second video where I unpack the key to better experiences and engagement with learning. This week I look at how everything should start with the why, exploring productivity myths of waking up at 5am to be successful and the most popular question I’m asked about my L&D career. 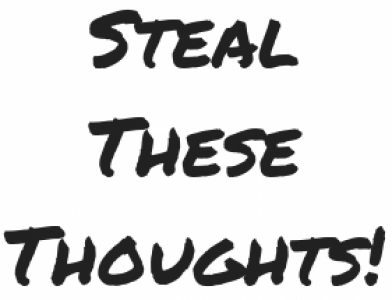 Steal These Thoughts! Newsletter: Are we embracing all the learning opportunities available? This week I look at appreciating the old and new when designing learning experiences, a thought provoking quote and if remote working could be the answer to a potential talent crisis for UK companies post-Brexit. Steal These Thoughts! Newsletter: What have you learnt this month? This week I look at what I can share with you from lessons learnt in 2018, Josh Bersins 3 things for learning in 2019 and what Apple can teach us about building a world class learning ecosystem.